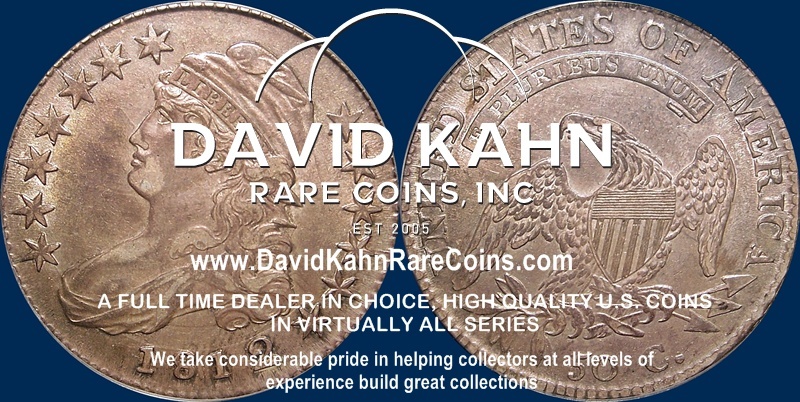 This is the main hub page for attribution and other Information on the fourth United States Half Dollar type. 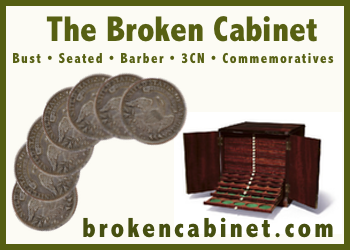 See below for links to every Capped Bust Half Dollar Overton variety. All designs share the same basic woman or Miss Liberty facing left adorned by a Turban cap with the word Liberty across the band (thus the Turban Head variety. 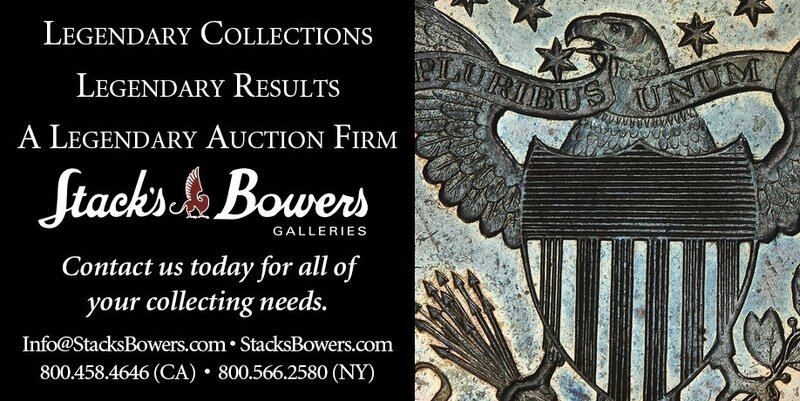 The reverse depicts an Eagle holding an Olive Branch and three arrows, with E PLURIBUS UNIM in a scroll above its head (except on the early Steam Press coinage years with the readed edge coins of 1936-39). 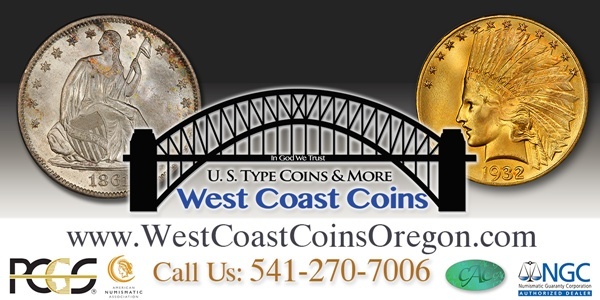 Over 82 Million of these lettered edged coins were minted over the years. Borders are dentilated, but offer the design little protection from wear. Since my main focus is on the Capped Bust Series, I will spend the most time for now in this section with as much information as I can. Check back periodically for updates. For the first 10 years of CBH's, engraver John Reich would place his mark as a notch on star 13 on every obverse working die that he had prepared. He would either notch the inner star point at the bust, or the outer star point from the bust. 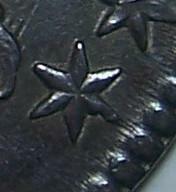 Referred to as the "Scalloped Star". 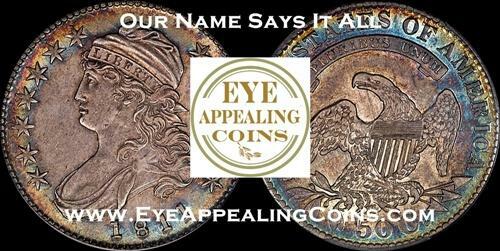 Check out the Bust Halves over at Coinzip!! !